Waller WH. Collected Dispatches from the International Astronomical Union’s 29th General Assembly in Honolulu, HI – August 2015: William H. Waller. 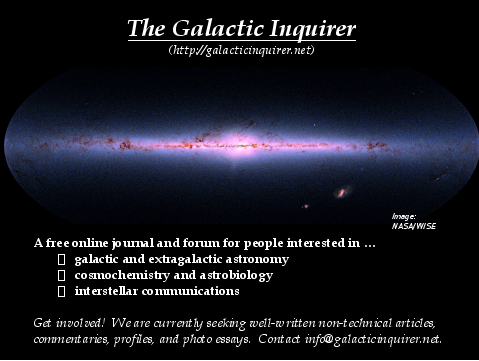 The Galactic Inquirer. 2015 Aug 27 [last modified: 2015 Aug 28]. Edition 1. The International Astronomical Union (IAU) is the largest astronomical organization in the world. Every 3 years, the IAU convenes a General Assembly somewhere on the planet. This year, the General Assembly took place in Honolulu, HI for the first time ever. Hawaii is special to astronomers, as its highest mountains play host to the most important optical and infrared telescopes in the northern hemisphere. These volcanic summits are also sacred to native Hawaiians, and so there is always the potential for controversy whenever a new telescope is being planned or built. Currently, the Thirty Meter Telescope (TMT) is receiving lots of attention, as it is about to transition from the planning stages to the building stages. 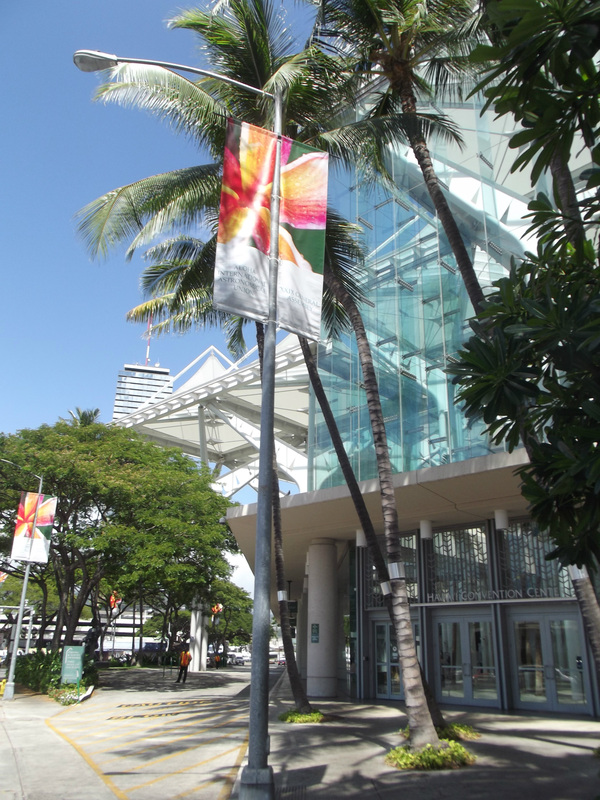 Despite demonstrations outside the Hawaii Convention Center and profuse coverage by the press, the IAU did not take any particular stand. Instead, it recognized the legitimate concerns of both parties and encouraged an amicable resolution. Of course, a whole lot more occurred during the two-week gathering – including 6 symposia designed to cover a wide range of astronomical topics, 22 focus meetings that were more specialized, meetings of the IAU’s 9 key divisions, sundry other business and splinter meetings, exhibits and poster sessions, educational workshops, public talks, and star parties. Each day, a newspaper was published that was rich with feature stories and other astronomy-related information (see http://astronomy2015.org/newspaper). The collected dispatches below are intended to supplement and complement the IAU’s daily newspaper. First posted on the Facebook page of The Galactic Inquirer (see https://www.facebook.com/Galacticinquirer), these dispatches highlight the diversity of astronomical activity that was in evidence at the 29th IAU General Assembly. They will remain “current” until the next IAU General Assembly that is scheduled to occur August 2018 in Vienna, Austria. 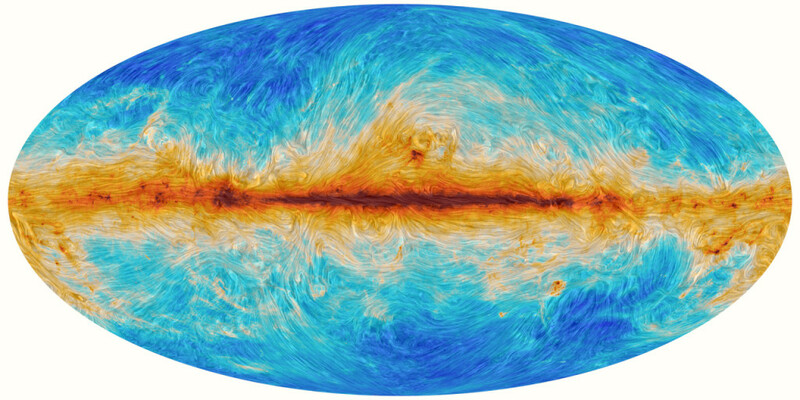 This trippy all-sky image was made by the European Planck satellite (http://www.ias.u-psud.fr/…/ESA_Planck_GalacticDust_Polarisa…). It shows the emission from dust in our Milky Way. Overlain upon it are lines showing the direction of our galaxy’s magnetic field (as obtained from the observed polarization of the dust emission). Besides evoking Van Gogh, this amazing tableau speaks to the structuring of dust and gas in our galaxy down to scales where stars form in spaghetti-like filaments. Whether the magnetic fields govern the filamentary structuring — or vice versa — remain controversial. 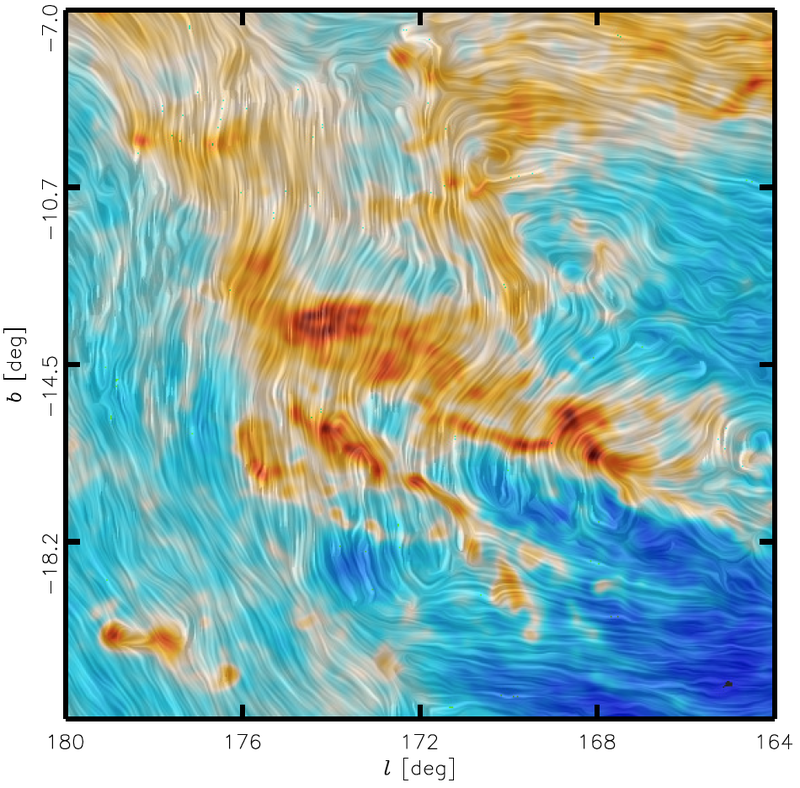 More information can be found in Dispatch #8 and at the Planck mission’s website at (http://www.esa.int/Our_Activities/Space_Science/Planck). 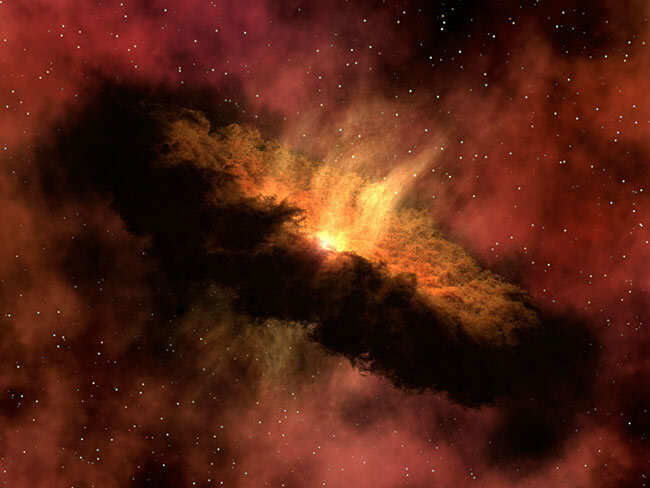 When stars form, they are often girdled by disks of gas and dust, as shown in this artist’s conception (see http://www.spitzer.caltech.edu/images/1852-ssc2007-14d-Planet-Forming-Disk-Around-a-Baby-Star). These circumstellar disks eventually congeal into systems of planets, asteroids and comets. Recent infrared observations of protostellar disks have revealed the presence of water vapor and organic compounds. In a talk at the IAU General Assembly, Joan Najita (National Optical Astronomy Observatories) likened the water vapor to “sunblock” that is protecting the fragile organic molecules from the protostar’s searing radiation. She estimates the equivalent SPF of this sunblock to be 100,000! An early summary of these findings can be found at http://www.spitzer.caltech.edu/news/273-ssc2008-06-Spitzer-Finds-Organics-and-Water-Where-New-Planets-May-Grow Further work has shown that the water vapor shields and nurtures the organics in the disk. 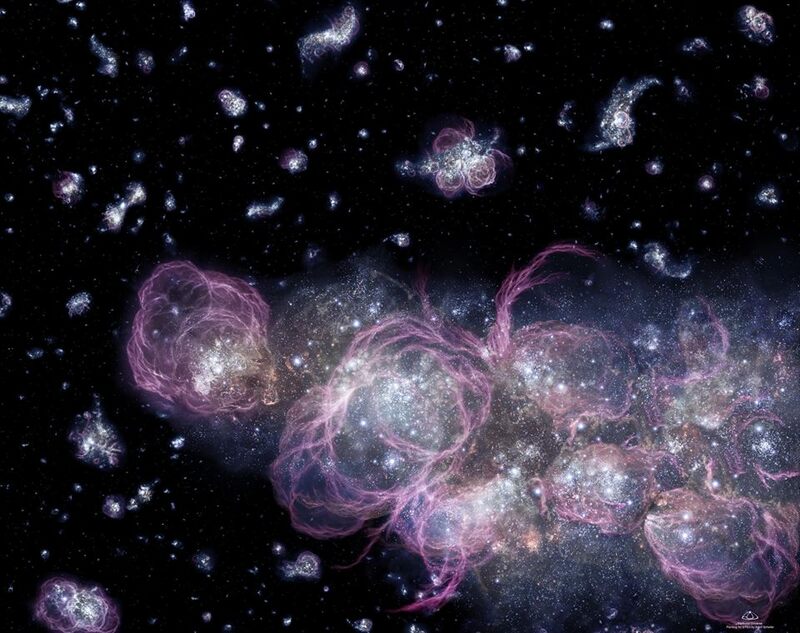 As the early universe expanded and cooled, its matter congealed into primordial galaxies. Recent observations with sensitive new telescopes on Earth and in space have revealed that these galaxies were busy converting their stores of gas into stars at breathtaking rates. Like the accelerated fruiting of hothouse tomato plants, the stellar productivity of these galaxies exceeds the rates evident in the current universe by factors of 5-10. Astronomers have found that the star formation still tracks linearly with the available gas, but that this track occupies a second elevated tier above the “main sequence” of star formation that is found in contemporary galaxies such as the Milky Way. This second tier of supercharged star-forming activity may have resulted from the especially hot and dense conditions that were extant in the early universe and within the galaxian spawn that emerged from the expanding and cooling chaos. More information should be forthcoming from the ALMA, SMA, Herschel, and HST observatories. An artist’s conception of merging and starbursting galaxies in the early universe. Recent observations indicate that a lot of the star-forming action occurred in much denser clumps than depicted. (Figure Credit: Adolf Schaller, Hubble Gallery, NASA). Here are some beautiful skyscapes taken from around the world – many featuring views of our home galaxy – courtesy of the National Geographic Society. 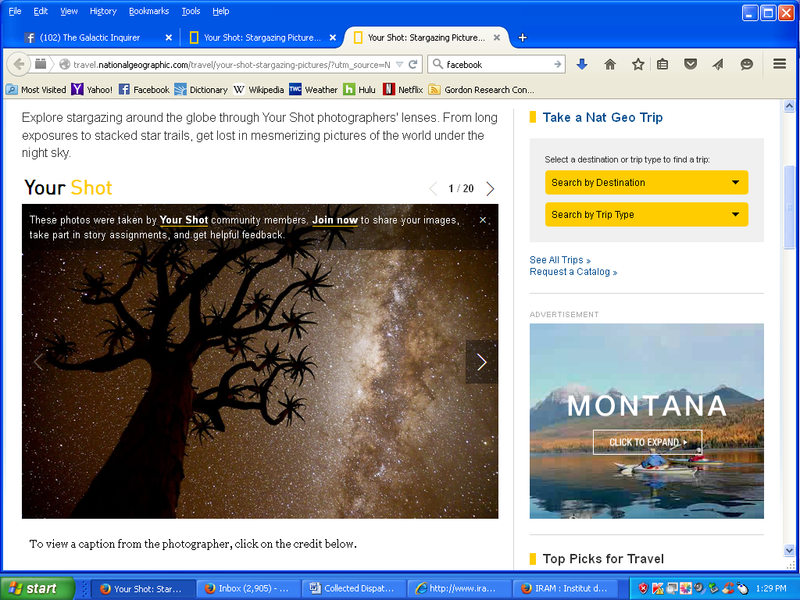 http://travel.nationalgeographic.com/travel/your-shot-stargazing-pictures/ Only a screenshot is shown here, so that copyrights are not infringed. The largest asteroid, Ceres, was recently visited by the Dawn spacecraft. Its surface sports ripples and craters. Some of the craters have bright spots that may indicate recent activity, likely involving upwelling water or cryo-volcanos. 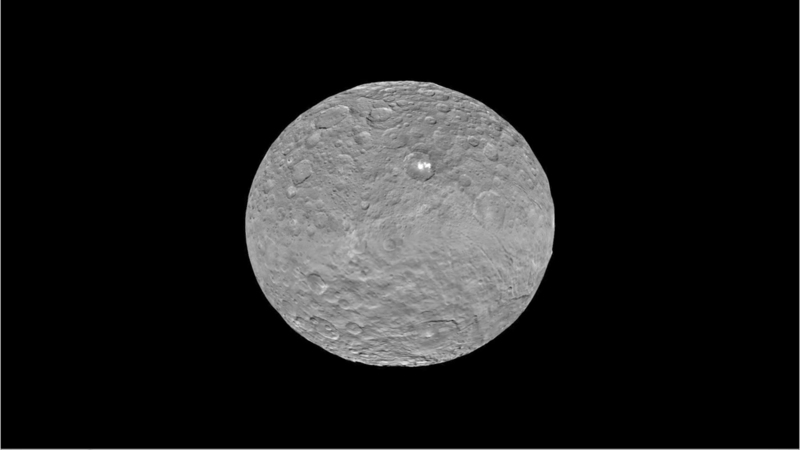 Ceres has a relatively low density – also consistent with it possessing a water-ice mantel. Observations by the Herschel telescope have confirmed the presence of a watery atmosphere. According to Christopher Russell of UCLA, the asteroid’s interior may even harbor microbial life. Figure Credit: Jet Propulsion Laboratory, NASA. You can follow the progress of the Dawn mission at (http://dawn.jpl.nasa.gov/). The Rosetta/Philae mission to the comet 67 P/Churyumov-Gerasimenko has produced amazing images of the nucleus that indicate a bimodal peanut-like shape with a 500 ft deep valley, steep cliffs, and craters. A recent image shows a thin plume of icy material shooting outward from a particular part of the surface, as the comet made its closest approach to the Sun. 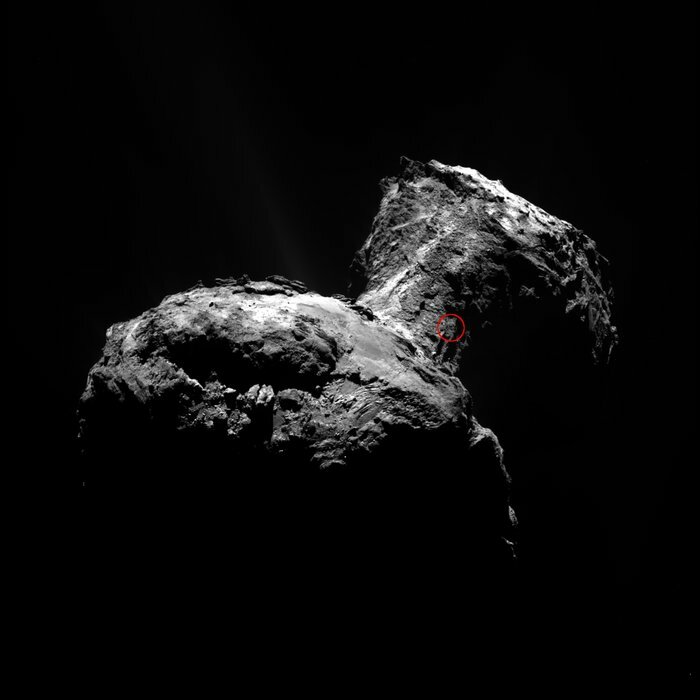 If the Philae lander wakes up, we may soon know more about the comet’s chemical and isotopic composition. More information can be found at (http://www.esa.int/Our_Activities/Space_Science/Rosetta). 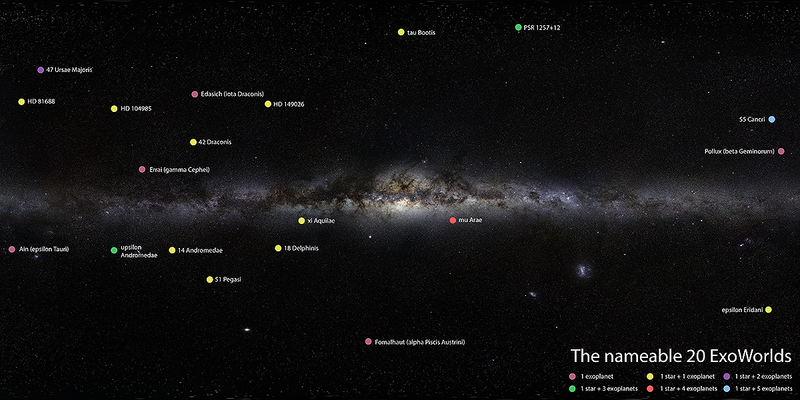 We now know of almost 2000 exoplanets. The highly successful planet-hunting Kepler mission has shown that there are more small planets like Earth than big planets. A handful of these planets are known to have rocky compositions and locations within their host star’s “habitable zone.” You can help to name some of the most renowned exoplanets and planetary systems by casting your vote online! See (http://nameexoworlds.iau.org/). New observations by the European Herschel and Planck missions show that low-mass stars form in small cores along thin filaments of molecular gas, while high-mass stars form in more robust clumps of dense gas. On galactic scales, the star-forming activity may be regulated by feedback from prior star-forming activity. 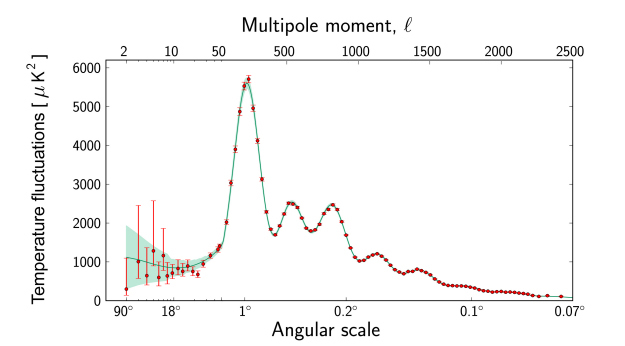 This may explain the near-universal efficiencies of star formation that are observed from small to large scales. Filaments of emitting dust associated with the Taurus molecular cloud overlain with a mapping of the magnetic field directions. Figure Credit: Planck Collaboration, European Space Agency. For more information, see (http://www.ias.u-psud.fr/soler/planckhighlights.html). The Cosmic Microwave Background (CMB) continues to be “the gift that keeps on giving.” The most recent all-sky mapping at mm and sub–mm wavelengths by the Planck satellite has spatial details that tightly constrain many of cosmology’s key parameters — including the age of the universe and the relative amounts of ordinary matter, dark matter, and dark energy. 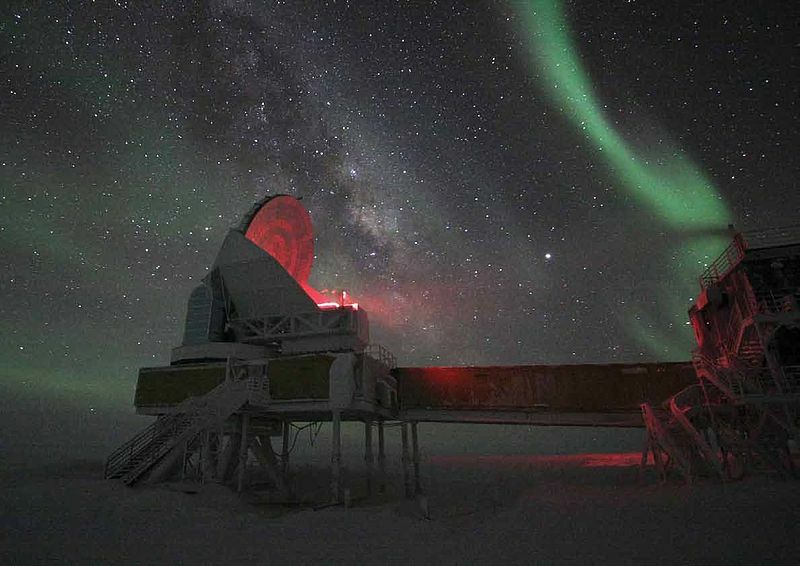 Meanwhile, groundbased telescopes from the South Pole and elsewhere are improving to the point where we will soon know the mass of cosmic neutrinos, and be able to test for the presence of primeval gravitational waves, the era of inflation, and the validity of general relativity way back when. The International Astronomical Union (IAU), in partnership with the European Space Agency (ESA) and European Space Observatory (ESO), has crafted a “one stop shopping center” for the latest astronomical news coming from various observatories, missions, and blogs. The website is called Portal to the Universe and can be found at (http://www.portaltotheuniverse.org/).